3. Choose Email Notifications. In the dropdown you can choose *Once Per Day or *Individual. After making your selection, be sure to choose Update Email Notifications. 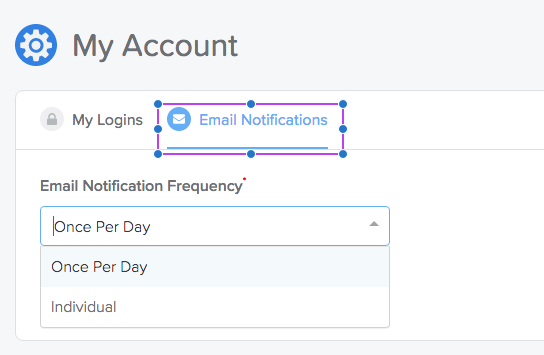 *Once Per Day: This setting will deliver a single email notification of outstanding tasks, every morning with all tasks that have not been marked as completed in GoCo. You can log into GoCo to review outstanding items, by clicking the bell on the top right of your profile. *Individual: This setting will deliver an individual email notifications each time a task is generated. This notification will only be sent one time. 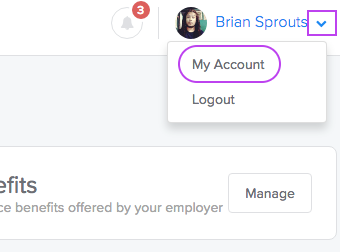 You can log into GoCo to review outstanding items, by clicking the bell on the top right of your profile.